Welcome to this website, which displays messages posted on www.facebook.com/PeckhamVision or emailed to people who live or work in Peckham, or have other interests in Peckham. * New Peckham Vision shop at 135a Rye Lane in the revived Holdron’s arcade. 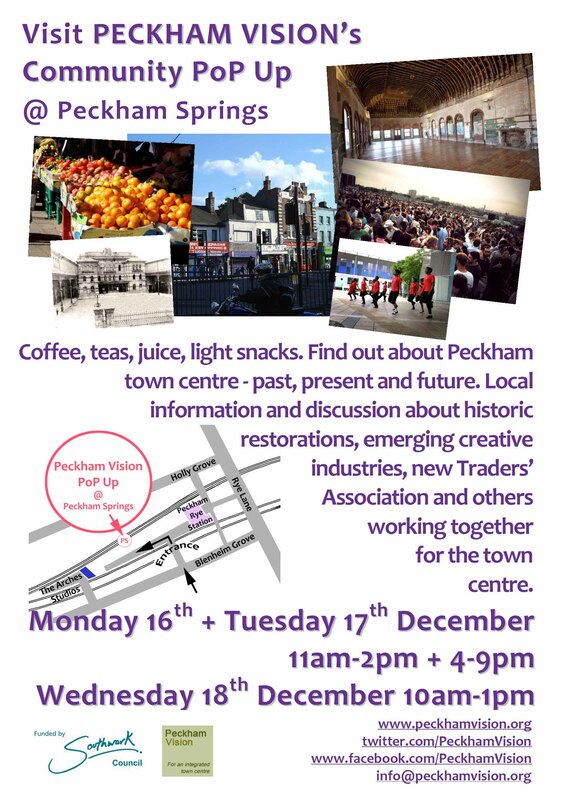 From Peckham Vision Facebook: Come & meet us in our Peckham Vision community pop-up @ Peckham Springs 16th-18th December. Mon+Tues 11am-2pm, 4pm-9pm. Wed 10am-1pm. For details see poster. In the Arches under platforms 3+4 entrance Blenheim Gv. Can you spare a couple of hours of yr. time to help at this exciting new venture? If so, you will take part in an enjoyable Peckham social experience, and learn interesting important things about Peckham’s past, present and future. If you would like to help please email info@peckhamvision.org for more details. Message from Peckham Vision – http://www.peckhamvision.org – by email: This is a reminder of the Network Rail consultation on Saturday 30 November 11am – 3pm in the Old Waiting Room off platform 3 in Peckham Rye Station. The deadline for comments is 6th December. 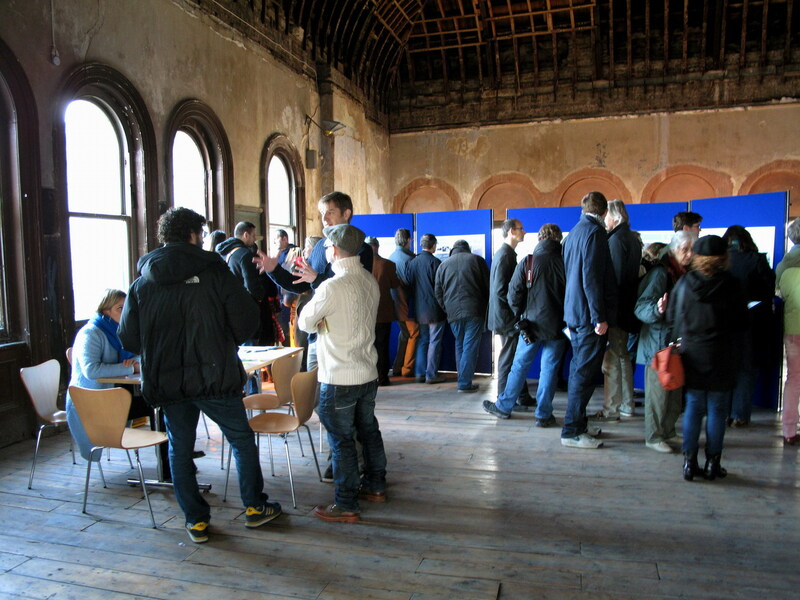 This is a once only chance to see and comment on what the newly commissioned Network Rail architects have to say about the way they will approach developing the planning application for the Network Rail buildings around Peckham Rye station. They promise a further event in January but this coming Saturday is the event to comment on the basic concepts about land use and buildings. * what effect such wholesale redevelopment would have on the small creative and leisure businesses taking root in the buildings on the site, and on the emergence of that new strand of local economic & social activity. This is a message from the Thameslink Programme. The network has been growing since 2002 from an original Bellenden Residents' Group mailing list, and the email list is now over 3500. In addition there are now Peckham Vision facebook and twitter links. In total over 10,000 people who live or work in Peckham and adjacent areas are connected to keep informed about things of local interest, including especially developments in Peckham town centre, and local rail services. There is still a sub-group email list for Bellenden neighbourhood. This blog was started in 2008. A small selection of previous emails has been posted as a sample of topics covered.